Read Kelsi's review of I Am the Night. I Am the Night tells the gripping story of Fauna Hodel (India Eisley ), a teenage girl who is given away at birth, and grows up outside of Reno, Nevada. Fauna lives more-or-less comfortably with the mysteries of her origin, until one day she makes a discovery that leads her to question everything. As Fauna begins to investigate the secrets of her past, she meets a ruined reporter (Pine), haunted by the case that undid him. Together they follow a sinister trail that swirls ever closer to an infamous Los Angeles gynecologist, Dr. George Hodel (Jefferson Mays ), a man involved in some of Hollywood’s darkest debauchery, and possibly, its most infamous unsolved crime. 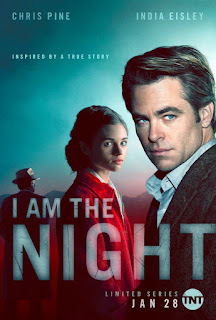 TNT’s Limited Series I Am the Night to Premiere January 28th, 2019, at 9 pm. A six-episode limited TV series, I Am the Night is based on true events. Finding out you’ve been living a life of lies was the last straw for Fauna Hodel. Uncertain of the past or present, Fauna (India Eisley) goes looking for a life where she’ll belong. However, she soon comes to regret looking for the unknown. 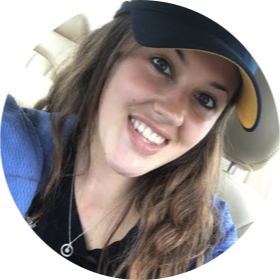 The real Fauna Hodel recently passed away in September of 2017. This show is based on Fauna Hodel’s biography, One Day She’ll Darken: The Mysterious Beginnings of Fauna Hodel. When Fauna realizes who she really is, it’s too late. She awakens the evil that her “mother” tried so hard to protect her from. She couldn’t have done it without the help of reporter Jay Singletary (Chris Pine). Jay was lost and broken due to the late unsolved Black Dahlia case, a murder that took place in Los Angeles of Elizabeth Short. Elizabeth’s case became known as “Black Dahlia” due to the graphic nature of the crime. In an attempt to prove that Dr. George Hodel was indeed the murderer, Jay hadn’t realized just how powerful this doctor really was. Finding Fauna Hodel only reassured Jay that he was not crazy and that having lost everything over that case might all be worth it now. So their journey together to find out more about the Hodel family began, but with opposite intentions. You’re left in the dark most of the series, as is Fauna Hodel herself. So you begin to feel the same frustration, anger, and anticipation that Fauna feels throughout the series. I thought that this was a very interesting show and even more interesting to know it was based on true events. You’re certainly in for a wild plot twist towards the final episodes of this show. I thought Chris Pine played his role very well as a ruined reporter and past war veteran suffering from PTSD. This show not only gave insight into mental illness, but also discrimination during the 1950’s. I must admit, this show has definitely left me curious to read more about Black Dahlia and Fauna’s actual biography.